Outdoor colored concrete sealer products protect exterior concrete from wear and tear, stains, salts and water damage. Exterior colored concrete sealer from SureCrete Design Products is available at Turning Point Supply in over 200 colors using the OnDemand Color System. Our outdoor colored concrete sealer systems are pigmented with the industry’s only alkaline-resistant tints that will not fade over concrete. Those house paint pigments that other suppliers use in their concrete paint start to fade as soon as they are applied. Choose the best outdoor colored concrete sealer product for concrete driveways and walks, commercial concrete patios, retail shopping center sidewalks, swimming pool deck resurfacing. 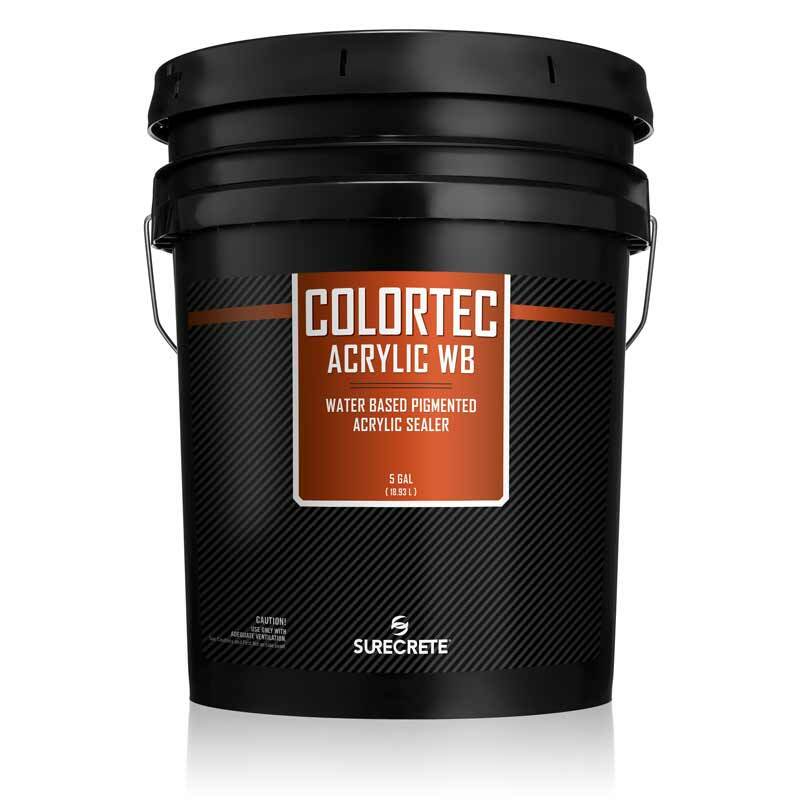 ColorTec AcrylicWB is a colored water-based outdoor concrete paint and sealer. Acrylic 30% solids, low VOC (less than 100 grams per Liter), strong binding, color, acrylic sealer for overlays or any cement based product. Our water base colored concrete sealer contains a hybrid, self-cross-linking, acrylic resin with built-in water repellents and tenacious penetration and adhesion. It contains no wax or silicone additives. Pigments are specifically formulated for UV stability, will not blush, and retain long gloss retention. TK Products Siloxane Dye is a specially formulated pigmented waterproofing treatment for producing uniformly colored concrete surfaces that are water and chemically resistant. Siloxane Dye disguises and blends discolored or unevenly colored surfaces to produce a uniform and attractive finish. The solid color waterproofing treatment protects the surface against damaging effects of water intrusion, acid rain, deicing chemicals, freeze/thaw exposure, airborne dirt, smog, industrial fumes, and most other atmospheric chemicals. SureGrip is a premium grade non-slip additive for interior and exterior sealers or coatings. SureGrip consistently outperforms other slip resistant additives such as Shark Grip in durability, due to its inherent crush resistance. 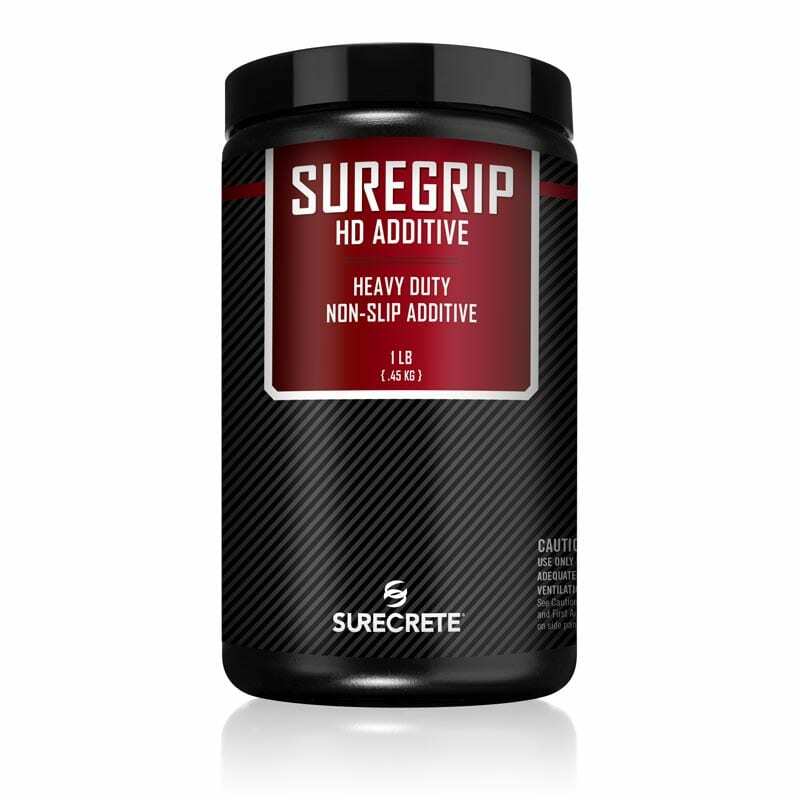 SureGrip is available in standard and heavy duty additive sizes. SureGrip Non-Skid is hand broadcast for maximum traction and slip-fall protection. Exterior colored concrete sealer material is available pigmented OnDemand in over 200 colors. You can always have the right color for your project anywhere in North Carolina and South Carolina. We ship single gallon pails and five gallon pails of exterior colored concrete sealer throughout the region. 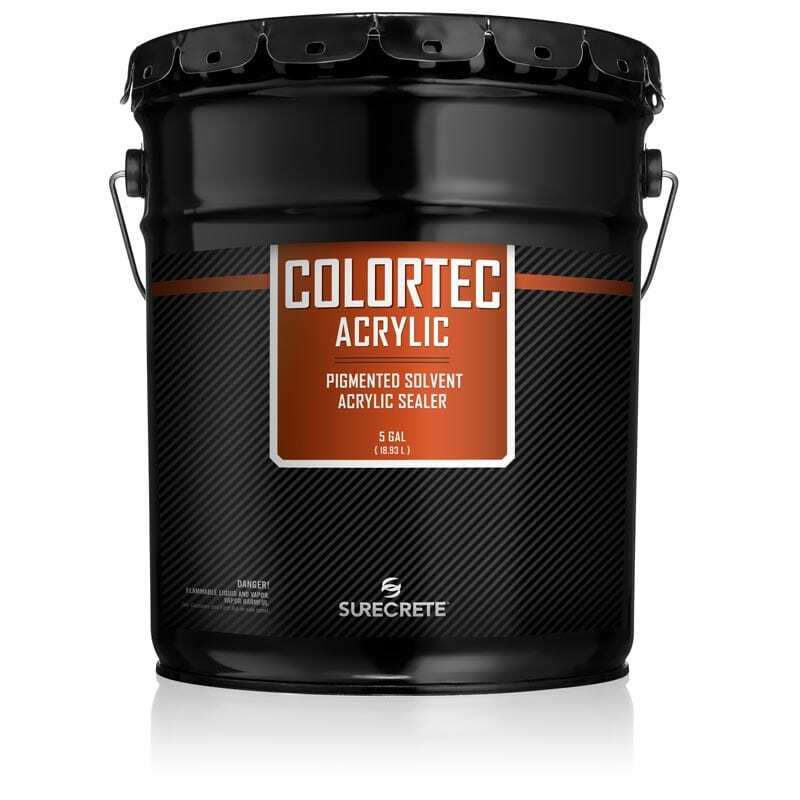 SureCrete Design Products ColorTec Acrylic is an exterior concrete paint that can be used for coloring high traffic driveways and sidewalks, and pool deck resurfacing in South Carolina and North Carolina. Colors are UV stable and alkaline resistant to eliminate fading. The colored concrete sealer coating remains breathable to tolerate concrete moisture and repels many chemicals. SureCrete Design Products ColorTec AcrylicWB is superior to all other concrete colored stains, concrete paint and water base colored concrete sealers. ColorTec Acrylic WB eliminates peeling due to freeze thaw cycling in North Carolina and South Carolina, with pigments that are UV stable and guaranteed not to fade when applied over concrete. ColorTec Acryic is an Eco-Friendly and environmentally responsible colored concrete coating. ColorTec Acrylic WB is a low odor pool deck resurfacing product for use over safe slip resistant pool deck coatings.